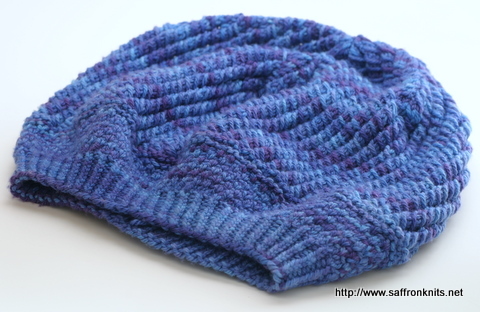 I’m working on another Periwinkle Beret. 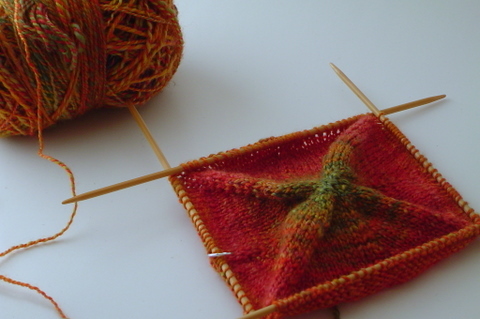 I’m using Lorna’s Laces Sport, the yarn designated for the pattern. 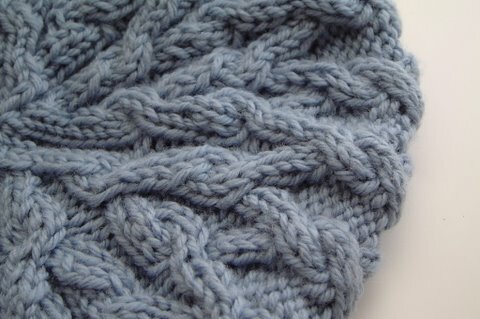 It’s hard to see in the photo, but I love the subtle variations of blue in the yarn. 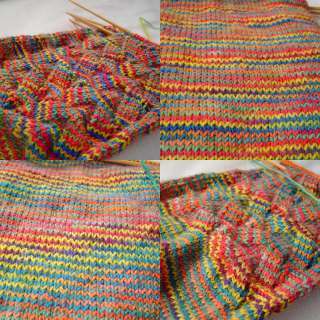 I’m half way through the decreases. 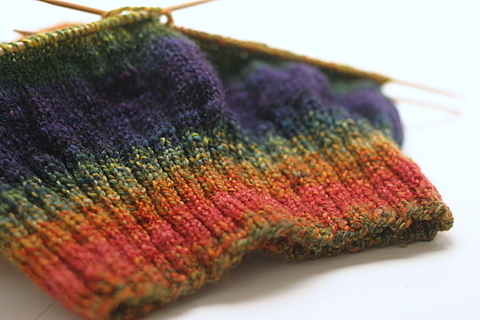 I know I keep saying this, but I throughly enjoy knitting this pattern. 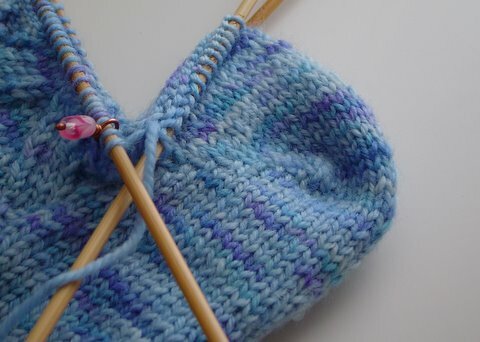 I recently had the desire to knit myself some socks. But I don’t have yarn I want to use. 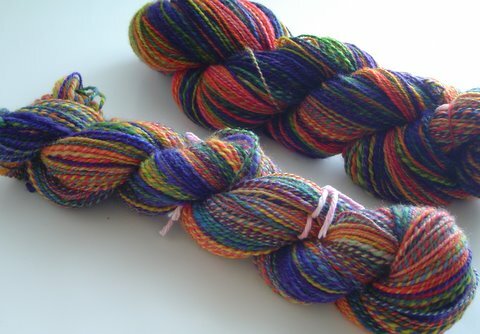 Now … if you know my penchant for Cabin Cove handpainted yarn, you’ll know that I have some perfectly good yarn to use. 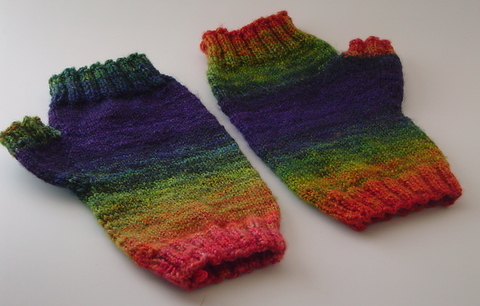 But I love that yarn so much, I’m hard pressed to use it for socks that are going to wear out. 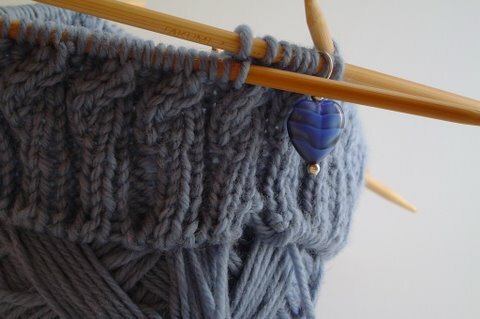 Besides, two skeins are ear marked for the Chevron scarf and another is on hold for the Lettuce Leaf Scarf. 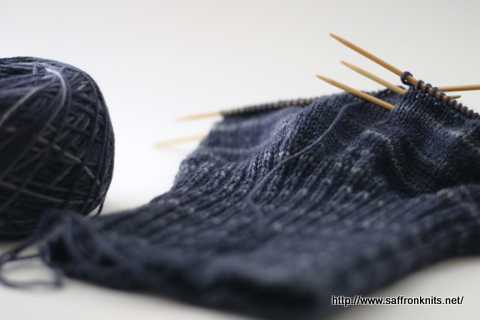 And I’ve discovered as much as I like variegated yarns, I don’t enjoy them as socks … at least not with US size 3 needles and it’s going to be a while before I go back to US size 2 needles. 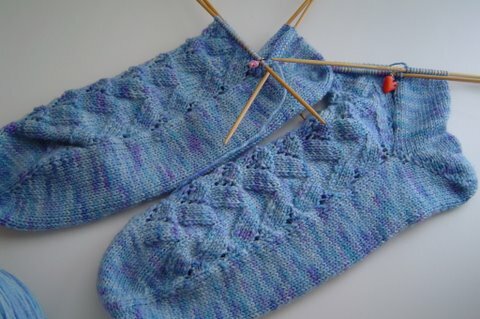 So … I’m in search of yarn for my next pair of socks. 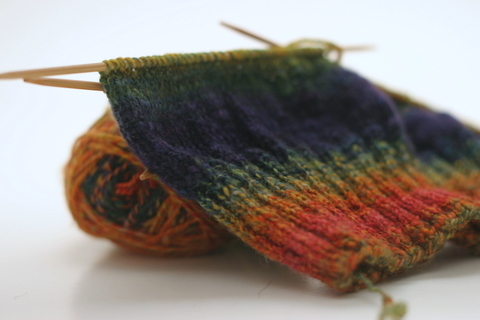 I’d love to try Vesper Sock Yarn, but it’s currently out of stock. I’ll keep searching and I’ll let you know what I find. Today was a nice sunny day so I took advantage of it and took a bunch of photos for upcoming posts so I just need to type them up. And to all the people who have commented on my last few posts, Thank YOU! I am very appreciative of you taking the time to comment! Happy knitting and thanks for stopping by! In the beginning… I spun these. I bought a sampler of some unknown wool that I really didn’t like. 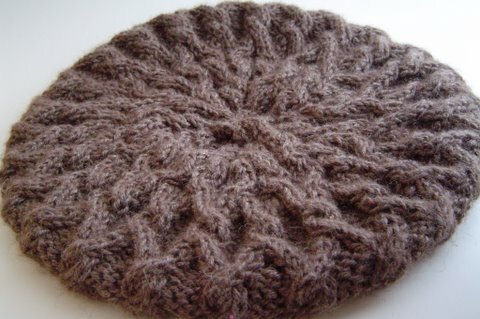 But this one was my very first attempt at spinning. 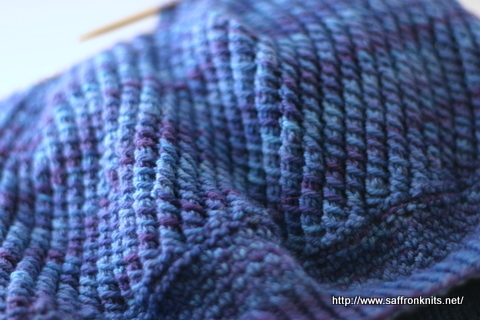 I caught onto it very quickly… and I think I only dropped my spindle once while working on this little skein. 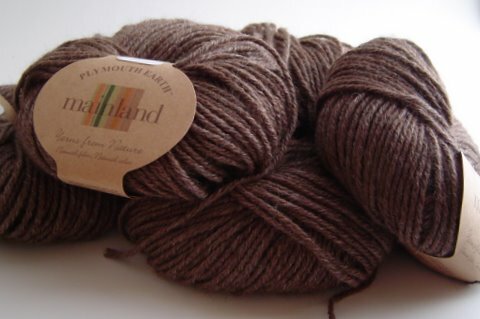 My next attempt: 4 oz of dyed Corridale from Hello Yarn which resulted in about 35 yds of super bulky yarn. I have no clue what to do with it. This is the fiber that started all this spinning. This time I managed to get 70 yds from the 4 oz of Merino. I was kinda nervous about using this fiber ’cause I kept hearing that it can be a challenge for beginning spinners but I had no trouble with it at all. I continued my quest to get more yardage from 4 oz of fiber. 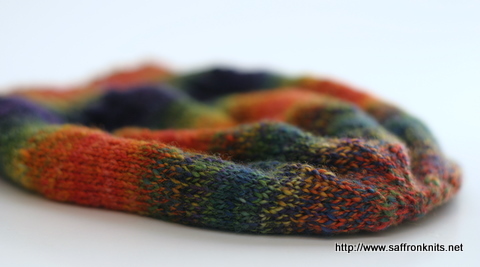 This merino top (Dy-no-mite) was hand dyed by FatCatKnits. 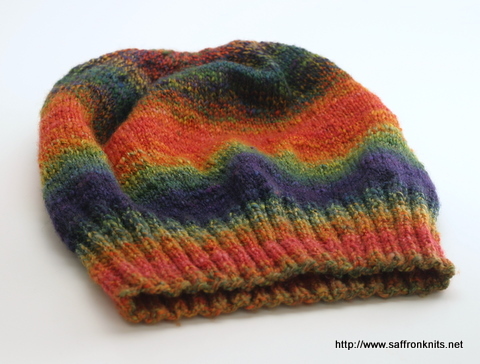 When I first finished this skein, I wasn’t happy with it… which is why I haven’t blogged about it until now. This time I got 100 yards of yarn. I kinda like it now. Below is what I finished plying last night. 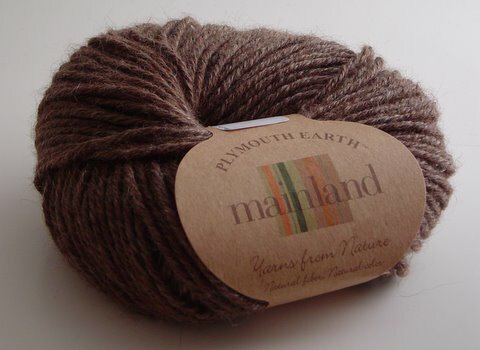 It’s approx 173 yds, 2 oz of natural Merino. I’m not sure what the wpi is… however … if you read my previous post about my spinning goal … well, I guess I reached it. Which has me totally amazed. 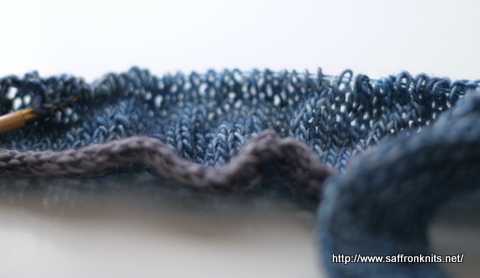 Now a better goal would be to try to get worsted weight… to spin thicker. I guess I was so focused on spinning thinner singles, I went beyond what I was trying for. This took quite a while to spin … and … I have 2 oz more to spin. This will be the most I’ve gotten out of 4 oz of fiber! Up next? I’m going to spin one of the other wool tops/rovings that I have before I get back to this yarn. Spinning about 346 yards of singles can get pretty boring when it’s one color. 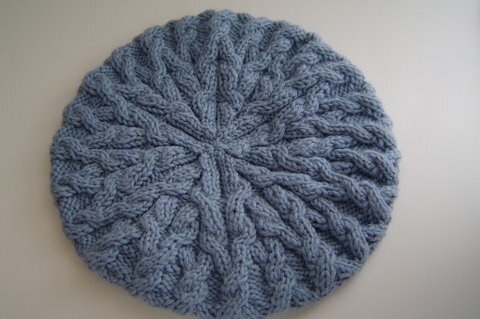 In knitting news, I’m almost finished with the Beret. I’ve just started the decreases. I’m very much enjoying this pattern! Thanks for the fun, Grumperina! And now for the good news! I ordered a new spindle!!! WOO HOO! I mailed payment today and it should take about 3-4 weeks for me to get it! I’m so excited! But I don’t wanna say what kind yet… I wanna surprise you! Stay tuned!!!!!!! Trusting can be hard. Oftentimes it is not given… it is earned. And imagine my surprise to realize this applies to kitting as well. 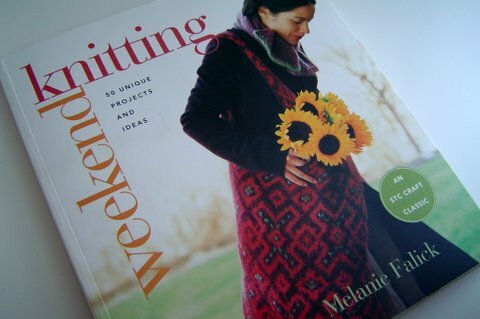 And specifically… knitting patterns. I mean following the written instructions and believing that it will work out (errata aside). I mean, this could be about confidence in my knitting, but I don’t think so. 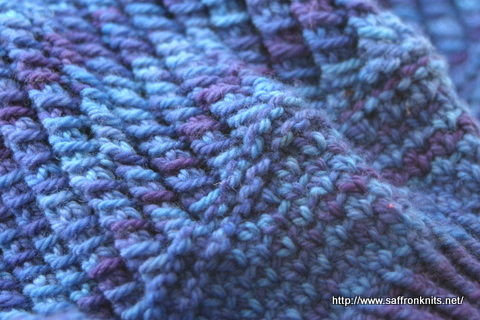 Currently I’m working on a hat that is started with the tubular cast-on, which I’ve never done before. 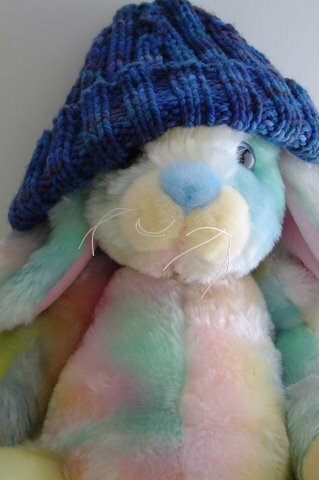 While I was still within the first inch, doing a k1 p1 rib… and I looked at the circumference knowing full well this isn’t gonna fit an adult sized head and I’m envisioning that that will change one I remove the waste yarn from the edge. 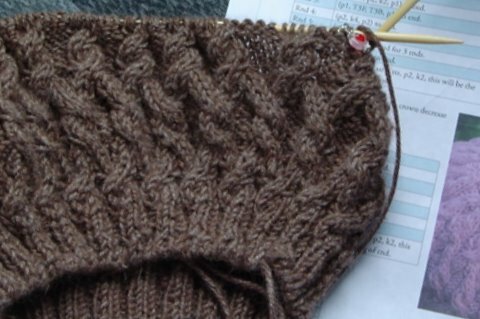 I could have done more research about this particular cast-on, but that would have given away the opportunity of mystery and discovery that is a part of the process of knitting. 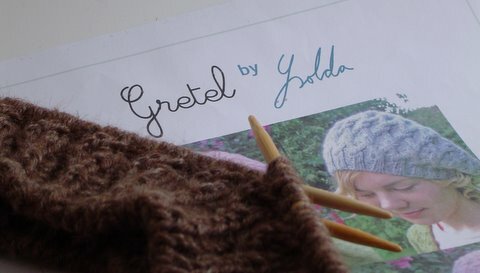 So, I will keep knitting this hat … trusting this designer, trusting a technique that is not new, by any means, and enjoying the mystery and adventure of learning a new technique and trying a new pattern. Oh… and remember these socks? I just wasn’t happy with the colors. 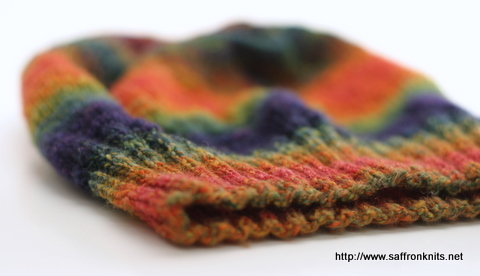 The yarn is so beautiful and bright and the pattern didn’t show that off at all. Lastly… spinning. I finally have spinning goal. 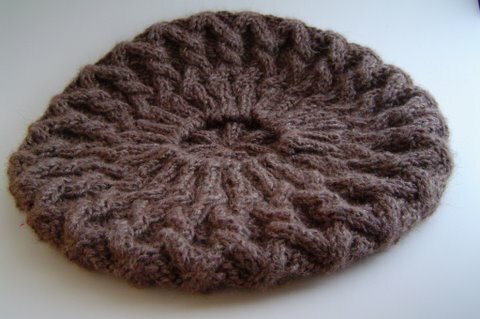 I really like this beret pattern and I think it would look pretty made with handspun. 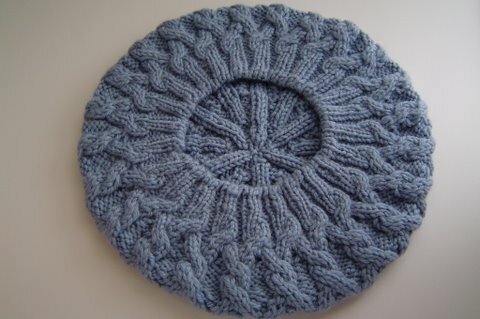 So I’d like to be able to spin enough 2-ply sport weight to be able to make this (or any) hat with it. And…I’ll soon be ordering a new spindle so I’m not tied to spinning one roving/top at a time (yes I know I can make my own… but I don’t wanna ). Can’t wait! I guess that’s it for now. Thanks for stopping by!! !